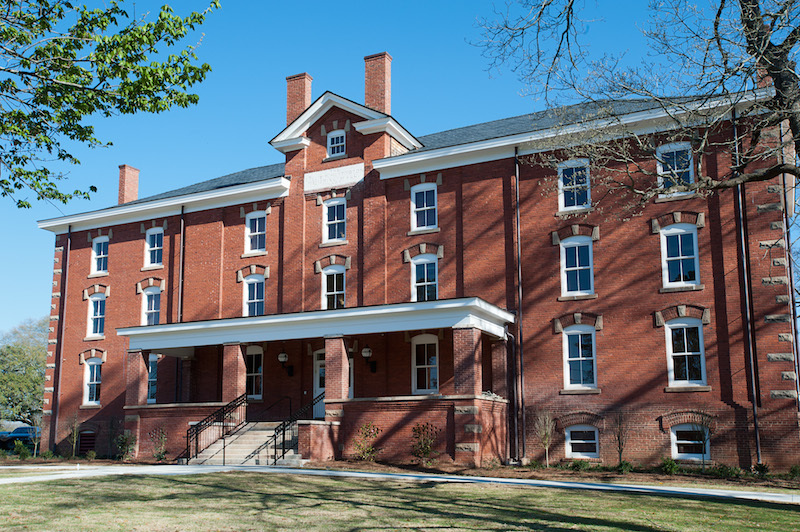 Historic Huntington Hall was rehabilitated in two phases. Phase One focused on structural stabilization of the building, while phase two involved complete rehabilitation. Huntington now houses offices, classrooms, conference rooms, restrooms, and support space. The building is a three story, rectangular-shaped, brick building with a raised basement and dormers. The brickwork consists of stone quoins and voussoirs, with a slate roof and steel single glazed operable windows. As construction manager, Garbutt Construction Company provided complete pre-construction services including estimating, scheduling, phasing, and bid packaging. Construction-phase CM services included self-performance of selective demolition and carpentry trades and oversight of all construction activities.